Speaking of big cars, the Master-C can be called a transporter designed with body-on-frame construction for cargo capability and durability. 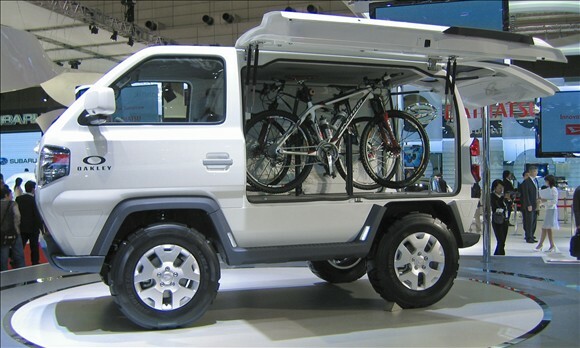 For this model, Daihatsu collaborated with Raita Suzuki, a leading professional cyclist. Mud Master-C offers great versatility and convenience for mountain bike support and for loading cargo or other uses. The interior consists of a simple instrument panel, with large LCD multi-display and water- repellent seats, for rugged use. good design for out door and jungle.. hope huament can acces in and out teh car with esy. cost when i luck the car is little high… tq. yo man, shove it up tha exhaust pipe init brov….